February 2013, I was wandering the streets with my friends or watching TV, with not very much else to do. Fast forward to October 2013, and my life has changed so much: I’ve been given so many things to focus on and have been inspired to do something beneficial with my time – and it all started with a YES. I spent my summer taking part in the National Citizen Service with Imagine You Can. Dave King came to the Sea Cadets at Guisborough last February to see if any of us wanted to sign up for the NCS summer project and it became the best experience of my life. Apparently I was Imagine You Can’s first sign up for it as well. On the first week which was the away residential I did things I never believed I could do such as Ghyl Scrambling, Rock Climbing and lots of different outdoor activities, but the main reason I signed up was for the Media side of the project in week 2 as it looked really good. The idea of learning journalism, meeting and interviewing MP’s, Businesses, Major Sports Coaches doing Live Radio with the plan to create a newspaper really appealed to me as I am interested in politics and the media. 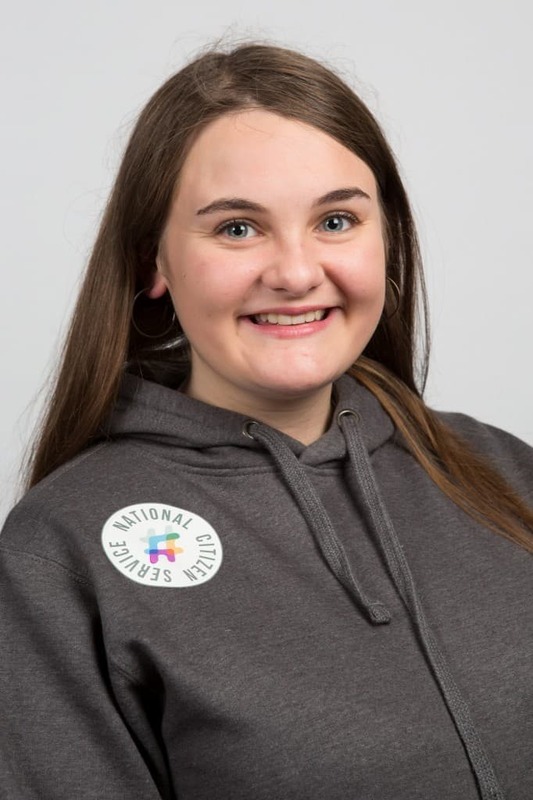 Dave gave me the editor’s role on our Voice of the Community NCS Newspaper and 22,000 copies came out in October across Teesside which really enhanced my media skills and was great for my CV. I made new friends and my confidence grew so much – so you can imagine my disappointment when the summer drew to an end and I finished the programme. However, Dave nominated me for the NCS Leaders Programme where the 100 best NCS graduates get to go on a 5 day residential to become ambassadors for NCS. We would learn all about being a great leader, mix with people from all over the UK and get some amazing opportunities to meet amazing people. Lots of graduates across the country were nominated and applied to go on it, so I filled out my nomination form and waited impatiently, constantly checking my emails to see if I’d been successful. Finally, I received an email – I’d been chosen to attend! The course took place in the October holidays, and we had to travel down by train. Now, I’m not brilliant at navigating around so that was the first challenge I faced, and I had several changes and train cancellations to contend with! Eventually I arrived, and I met the people I would be spending my October half term with. Straight away, we all made friends and spent the whole journey to the residential building chatting away with people we would never have met if it wasn’t for NCS – the mix of accents was incredible and was the topic of most of our starting conversations! Some of us arrived on the Sunday as we had a long way to travel, so we began to get to know people and then waited for everyone else to join on the Monday. Monday was the first ‘official’ day, and so we were put into the teams we would be spending our week with. I was in Team 9 (clearly the best team) and we began to talk about what being a leader is all about. We talked about how it was important to inspire people, and how being a leader isn’t about having power and control but knowing how to use it. Our team got on amazingly, and we had all become good friends by the end of the week. We then got the chance to do some extra activities where we could try something new – so I decided it was time to meditate! After dinner we took part in ‘The Big Debate’ where we practised all the different debating skills in a series of rounds and challenges to test our knowledge and how we reacted under pressure. It was a good way of showing all the skills we’d picked up on the NCS summer programme, and it definitely highlighted our competitive side! On Tuesday, it was time to do some outdoor activities – which I will quickly point out is definitely not my forte! However, I knew that I’d be disappointed if I didn’t do it, so I went out full of optimism and enthusiasm with my team ‘buddy’ Immie, and decided that if I was going to do it I was going to do it to the best of my ability! First up was canoeing, which, I’ll admit dented my optimism, but it wasn’t actually as bad as I thought it would be. Admittedly, I don’t think we’ll qualify for Rio and it took us quite a while to get away from the platoon but we got there! After that, we went abseiling which was possibly the most terrifying thing I have ever done but with the encouragement of my friends and team mates, I reached the bottom. After the activities we went back into the rooms and looked into the different styles of leadership, for example, how sometimes it’s more appropriate to step back and let somebody who is better equipped than you take charge and when you should put your foot down and delegate tasks to people. We also looked at the different characteristics a leader should have, and how it’s important to be assertive and strong-willed, but also to be understanding and compassionate. After dinner, it was time to decide what we wanted to do for the Talent show! Me and about 12 others decided that we should do something different, and we came up with an idea to do a murder mystery with a twist. It was fantastic planning it all out – writing scripts and organising roles, and we had so much fun doing it! On Wednesday, we were given the opportunity to choose workshops that we wanted to take part in. I chose ‘morality matters’, where we focussed on moral issues and how we define what is right and wrong; ‘positive mindset’ where we learnt how to focus on our positive qualities and keep our doubts and insecurities under control, and ‘how would you change the world?’ where we were given a question about controversial issues such as capitol punishment and fight for what we believed. We also played a game where we were given a set of cards with the suit king to ace, and we had to decide how strongly we felt about a given topic, such as whether faith schools should be banned or life sentences should mean life. These were all excellent as we all got to put our opinions forward, and we learnt how important a role we play in society and how our views should be valued. After dinner, it was time for the talent show – and it was amazing! There were singers, plays, dancers and comedians, and everyone was so supportive of each other and had an amazing night! We then settled down to bed quickly, ready for an early start in the morning – with alarms set for 5am to hit the streets of London! Thursday was by far the best day! Despite the fact that we were exhausted most of the day due to the early start, it proved to be a fantastic penultimate day! Firstly, we were given a brief about our day as the events had been kept top secret. In our teams, we were given a list of tasks to complete that would challenge all the skills we had learnt during the week. They were quite obscure – for example, you had to get members of the public to wear a pair of flip-flops to promote the charity ‘Orphans for Orphans’ that works with children orphaned by disasters and tragedies, and we had to convince a bakery to let us try their cake for free. Unfortunately, we didn’t have much time, but we had so much fun spending a few hours giving out free hugs and taking photos of famous London landmarks! We then headed to the place we’d been looking forward to all week – the Houses of Parliament! When we arrived, we were given a brief talk on the history of the building, and then we went to the Churchill Room where we attended the NCS Leaders reception. We met up with our local MP Tom Blenkinsop to talk about our experiences and what we had achieved. We also got to meet Nick Hurd again the Minister for Civil Society who had previously visited us at our NCS home residential in Redcar, and the super model Lily Cole, who gave a talk about her new social project for sharing skills in communities. I was then called out by the programme leader and told that I was about to receive a very special surprise along with 19 other leaders. Unsure (and not a fan of surprises) we left the Houses of Parliament and headed towards Downing Street and the big surprise was revealed – we were getting a tour of 10 Downing Street! It was so surreal – a little teenager from a little town in the North East was stepping into one of the most famous houses in Britain! We looked around the Cabinet office and the room that was once Winston Churchill’s bedroom, as well as the study that Margaret Thatcher worked from and walked up the famous staircase surrounded by the pictures of all the previous Prime Ministers. We then went to the State dining room, where we met Sir Jeremy Haywood, the most Senior Civil Servant and the Cabinet Secretary and Tim Kiddell, David Cameron’s speechwriter, who invited us to give any suggestions on how we could improve NCS, and also the opportunities available to young people. After our tour, we began to head towards toward the coach when all of a sudden, we saw someone familiar coming towards us on a bike – it was Boris Johnson! He didn’t stop and talk to us as he went straight into Downing Street, but we were all stunned, and it left a definite buzz in the air that lasted the majority of the night! When we got back to the centre, we had to quickly get changed for our formal dinner on the evening. There were a few speeches and then we had a mini-party, where we made the most of our time left with everyone! On Friday, we rounded up everything that we had done in the week and created an action plan of how we could kick-start projects in our local area when we got home. We were also given a talk on the media, and how we can give the best impression to the media in our role as NCS ambassadors. It was then time to say goodbye, which was awful – we’d all grown so close so quickly and had made life-long friends that I am still in contact with. NCS and the NCS Leaders Programme was by far the best experience of my life as it has improved my confidence immensely. It also showed me how important young people are in society, and about how we have a voice that needs to be heard, and that we are capable of making real change. It also made me a lot more of aware of how I tackle situations, and has made me so grateful for everything that I have in my life by changing my perspective on life mentally. If I could do it again then I wouldn’t hesitate to as I met some amazing people and achieved so much in such a short space of time, and I know that my determination to achieve big things will continue throughout my whole life – it really was life-changing.